Mount Boucherie Secondary, West Kelowna, B.C. Below is a list of vendors that will be coming to the 2016 conference in Kelowna. If you are interested in being a vendor at our conference please email the BCTEA at conference@bctea.org for further information and registration. Vendors will have their company logo and company description used in the BCTEA E-View Magazine which is sent out to our entire membership throughout the year and on the website as a thank you for participating in the conference as well. iDESIGN Solutions (iDESIGN) is a Value Added Reseller of technology products for Science, Technology, Engineering, Arts, and Math (STEAM) education. iDESIGN is the #1 source for VEX Robotics Classroom Kits & Parts, 3D Printers, Renewable Energy kits, pi-top – the DIY laptop powered by Raspberry Pi, Ozobot, Sphero, BirdBrain Technologies, Makey Makey, Arduino, teacher training and much more. EZ-Education Solutions specializes in the use of Ed-Tech to maximize students engagement and learning. Specifically we work with Robotics and 3D Printers. Our robots are so powerful that NASA flew up to Canada to meet with us, while also being so easy-to-use that a 4th grader can now build powerful robots with advanced capabilities like speech recognition and vision tracking. Perhaps more importantly, they\’re are also incredibly engaging for Students. Over the past 18 months we\’ve demonstrated robotics to more than 8,000 students from grades 4-12. Following our presentation 90% of ALL students indicate that they would like to learn robotics (which includes traditional style programming). It\’s truly remarkable to see. We also have a self-directed curriculum, meaning that teachers don\’t need to be roboticists. Anyone can have success teaching robotics and programming with our system. Stop by and see how you can engage ALL your students in a real-world robotics education, for about the same cost as Lego and Vex. Studica is the education source for software, robotics, technology products and more. Since 1985, Studica has met the needs of students, educators and schools as the education source for software, technology products and STEM Education. Studica.com offers relevant education solutions for STEM education, robotics, game development/design programs and more. We also provide a wide range of products such as software, 3D printers, 3D mice, pen tablets, hardware and more. Major brand offerings include Pitsco, Tetrix, PTC, Unity, fischertechnik, Tormach, Camaster, Roland, Lumion, XYZprinting, RealityWorks, National Instruments, Avid, Unity, AndyMark, Rev Robotics, MakeBlock and many more. Studica is also a proud sponsor and supplier of the international WorldSkills Mobile Robotics Competition. Studica is a Gold Sponsor and Supporter for the Skills Canada Robotics Competition and a supporter and supplier for FRC and many other Robotics Competitions around the World. KMS Tools & Equipment Ltd was established by Stan Pridham in 1981. KMS Tools has remained a family owned business for 35 years serving both the retail sector as well as technical education and industrial sector. With over 200 employees in 9 retail locations in BC and Alberta, as well as our Car Parts and Service shop in Coquitlam, KMS Tools is well positioned to support our retail, industrial, and institutional customers. “Not Just Another Tool Store”. King Canada Inc. is dedicated to being the leading industrial machinery company in Canada. With over 30 years of industry leading experience, and a management team comprised of top executives from the largest industrial woodworking companies on this continent, King is the largest and only Canadian owned and operated national machinery company. Our team has worked hard for you to develop the largest and most comprehensive network of industrial and retail dealers of any industrial machinery company in the history of Canada. This, coupled with a network of over 400 Service Centres nation-wide and a highly specialized staff, will help you purchase the right tools and keep them serviced. At King, we look forward to earning your business, and we want to let you know that we will never stop developing the quality, innovation and service of our brand, so that you will always get the best value in every King Tool. Spectrum Nasco’s ten discipline-specific educational catalogues have been instrumental in bringing the classroom to life with products designed with a common purpose – education. Our catalogues cover Arts & Crafts, Early Years, Elementary Education, Elementary Mathematics, Elementary Science & Technology, Literacy, Physical Education, Special Education, Secondary Mathematics, and Secondary Science. They contain thousands of products that are used around the world in educating children. We offer IT based products, plastic manipulatives and thousands of product specific resource books. We have focused on this discipline specific approach to serve you better. Each catalogue is supported by an expert and dedicated Catalogue Director whose job it is to focus on that curriculum area and ensure that our product offering is everything you might need. Progressive Educational Systems is a reseller of the most sought after technical training solutions for Secondary schools across Canada. Areas include Renewable Energy, Automotive, manufacturing, mechanical, electrical, electronics, CNC, 3D printers, 3D Modelling, Virtual Reality and more. Stop by our exhibit to see the very popular Augmented Reality Welding training system. Trotec was formed in 1997 from a research branch of Trodat and has since then become a world leader in the field of laser technology. As part of the Trodat Trotec Group, Trotec develops, manufactures and markets laser systems for marking, cutting and engraving, as well as engraving materials. Trotec sets new standards, serves customers in more than 90 countries and has more than 450 employees. WorkSafeBC, through its Young and New Worker Program, assists educators by providing injury prevention resources that help raise health and safety awareness among students — information they can learn in class and take into the workplace. Reimer Hardwoods excels in helping schools meet there needs in great selection of Hard & soft wood lumber and panel. We have supplied schools for almost 40 years in fact that is what this company was founded on. Please call us for any of your lumber needs. PJ White Hardwoods and Richelieu are proud to be serving the BCTEA for over 40 years. The Industry Training Authority (ITA) leads and coordinates British Columbia’s skilled trades system. ITA works with employers, employees, industry, labour, training providers and government to issue credentials, manage apprenticeships, set program standards, and increase opportunities in the trades. Mitchell 1 began with the simple idea that people need information to fix cars. That was true back in 1918 when Mitchell 1 got its start, and it’s been true through the years. And never more so than today, with so many advanced technologies driving the car care business into the future. For over 95 years, Mitchell 1 has been a leader in providing information solutions that simplify everyday tasks for automotive professionals — helping make their jobs easier. Through the years, Mitchell 1’s products have evolved to keep pace with industry and technological advances. The renowned Mitchell Manuals led the way to the industry-leading Mitchell ON-DEMAND® solution, recognized by generations of auto repair professionals as the standard for automotive repair information. Iconic specializes in providing turnkey CNC solutions for schools looking to integrate CNC technology into their woodworking/industrial technology programs. Packages include machines with full safety guarding, design software, online instructional tutorials and optional onsite training. With over 1400 successful installations in schools across North America, Iconic is the industry leader in CNC for education. 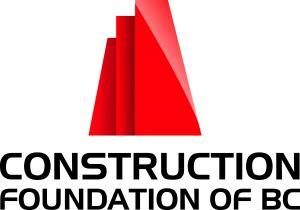 The Construction Foundation of British Columbia supports the advancement of the construction industry through education, research, and contribution to charitable initiatives. Current initiatives include Project Shop Class, which is rebuilding shop classes across BC, and Construction Ready, which is a pilot program that supports high school students to identify and get ready for careers in construction. Bear Woods Supply is a leading supplier of wood working parts and clock parts to schools across North America – and we are in BC! We carry a huge range of clock parts, wood dowels and dowel pins, wood toy parts and plans, scroll saw blades, picture hanging hardware, hinges, cabinet knobs, sandpaper, shaker pegs, wood shapes, and much more. Great quality, and great prices guaranteed!